A comprehensive introduction to graphic design theory. This textbook combines an analysis of historical thinking about design with contemporary critical theory. Throughout, explanations are linked to visual concepts, so the book is useful for studio instruction as well as freestanding lecture courses on history or theory. Promoting rigorous thinking as well as practical and technical proficiency, it encourages students to critique the professional design work they encounter, as well as their own studio practice. 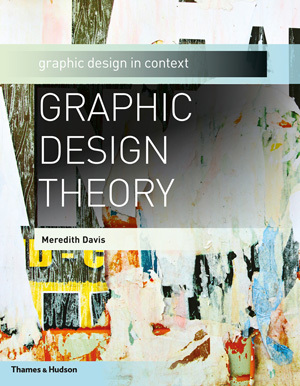 New thinking about graphic design, uniting a historical perspective with an essential critical background, is made accessible to students—this thinking would otherwise be available only in diverse and unsuitable readings. The author has played a crucial role in the development of graphic design as a field of academic study in the United States, and her expertise ensures a balanced, thorough exploration of the discipline. An essential resource for developing broad critical-thinking skills as well as practical and technical experience, the text meets a growing demand for an understanding of design theories. A wealth of images demonstrate how practicing designers have applied theories addressed throughout the text, including Swiss typography in relation to modernist theory and magazine design from the 1980s in relation to postmodernism. What Do We Mean by Representation?